S8.B.1.1.2: Compare similarities and differences in internal structures of organisms (e.g., invertebrate/vertebrate, vascular/nonvascular, single-	celled/multi-celled) and external structures (e.g., appendages, body segments, type of covering, size, shape). S8.B.2.1.3: Explain that mutations can alter a gene and are the original source of new variations. S8.B.2.2.2: Recognize that the gene is the basic unit of inheritance, that there are dominant and recessive genes, and that traits are inherited. 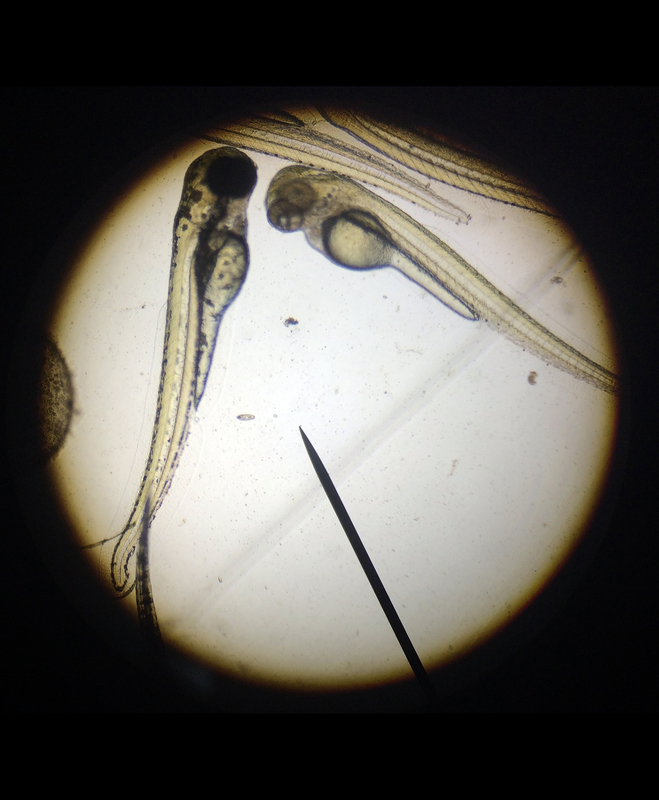 Students are given the following Scientific Question: If a wild type zebrafish mates with an albino zebrafish, which phenotype will the offspring inherit? 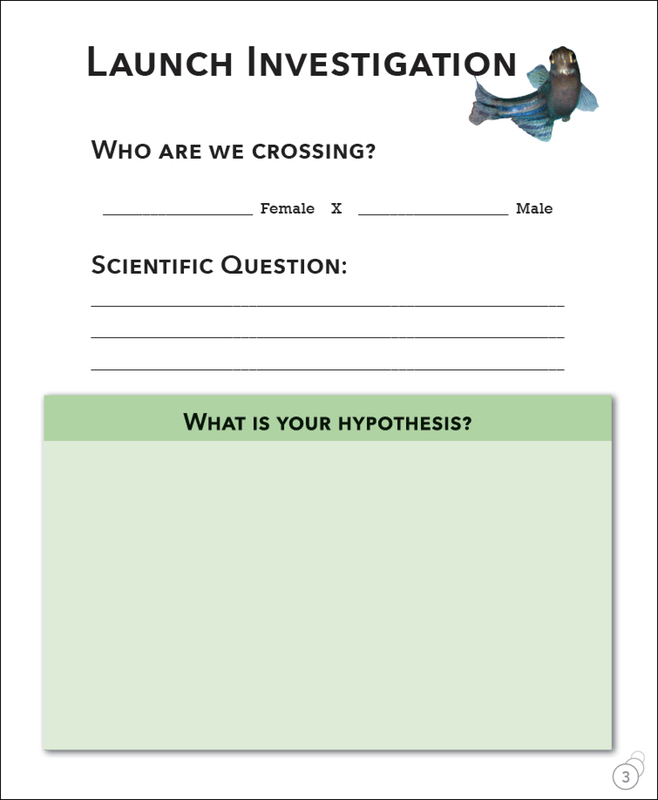 They then formulate a hypothesis. 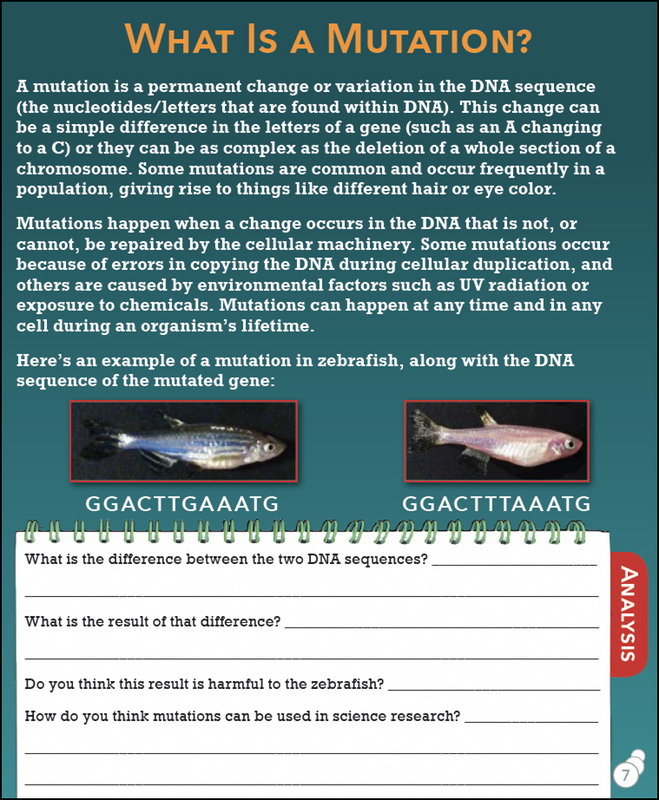 Students read a journal page and answer questions about mutations. 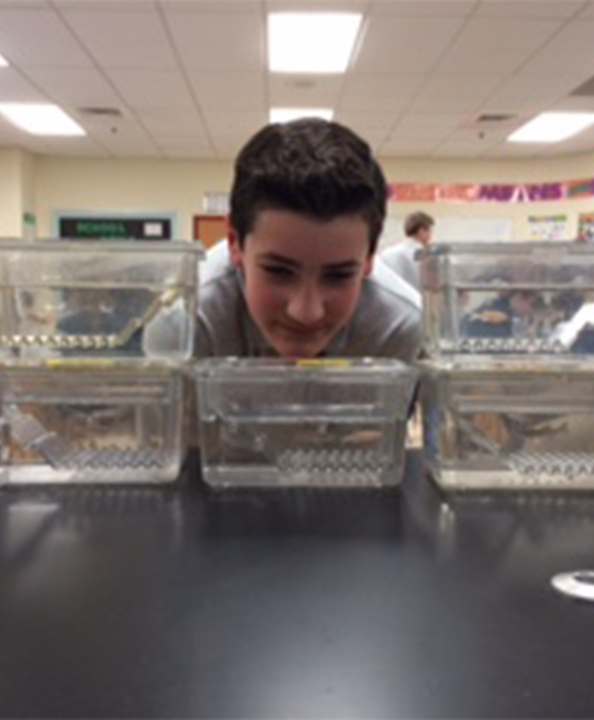 By the end of the week, students must identify the phenotype of their larvae. Do they see wild type or the mutant albinos?